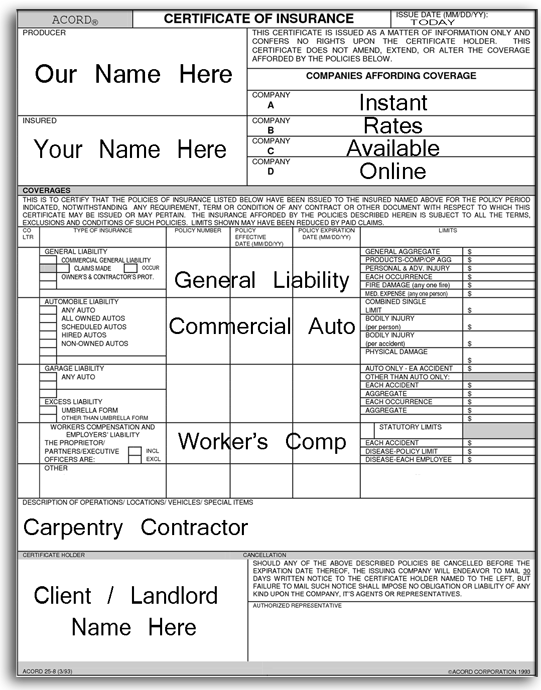 Licensed general contractors and other trade contractors who subcontract labor from yours and other business types must comply with their own general liability insurance policy by requiring all subcontractors to provide a contractor insurance certificate with an Additional Insured Endorsement (AI) – to get more jobs. The AI requirement will also extend to you – after you buy a general liability policy – you too must require any business you hire as a subcontractor to name your company as AI on their policy. Additional insured endorsements range in price from free to $500 or more, depending on the exact requirement. Most insurance company rated with LiveRate® include unlimited basic AI endorsements – at no additional charge – which is why you should shop online for the lowest rate. Commercial and residential property managers – as well as many individual landlords have a short-list of contractors who are called for installation, remodel and maintenance services – and will only hire an insured contractor. 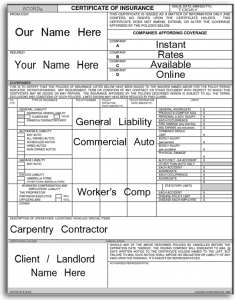 Get on the contractor insurance certificate list – and get more jobs as soon as today!